We examine the ability of pre-election polls to aggregate information about voter preferences. 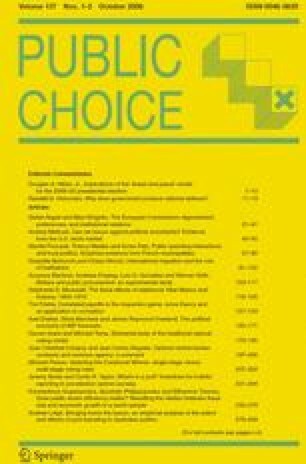 We show that if the electorate is small and voting costs are negligible, then an equilibrium exists in which citizens report their true political preferences. If the electorate is large or voting costs are significant, however, then no such equilibrium exists because poll respondents possess incentives to influence the voting behavior of others by misreporting their true preferences. We find that when a truthful equilibrium does exist, a poll can raise expected welfare by discouraging turnout among members of the minority.